Minor league ballplayers have always been characterized for their grit, sacrifice, and love of the game. 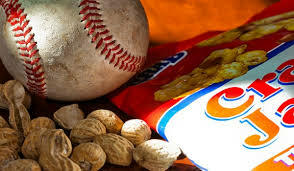 Indeed the frequently dramatized romance of interminable bus trips and watching players “play for peanuts” has become as much tradition as it is a right of passage. But is it fair to tax these ballplayers dreams by compensating them below even fast food standards? The Minor League system is enormous. Each MLB organization is represented by a club at every level of Minor League Baseball, which includes Rookie, Short-Season A, Single-A, Advances Single-A, Double-A, and Triple-A. MLB organizations pay the salaries of Minor League players, coaches, and managers even though the majority of Minor League teams are owned by individuals and companies independent of the Major League organizations. The MLB club also makes the ultimate decision as to who is on what Major League-level roster and determines which players to assign, promote, and release. Additionally, MLB inserts a “reserve clause” into player contracts that allows teams to retain the contractual rights to players and restrict their ability to negotiate with other teams for their baseball services and compensation. The uniform contract typically grants an MLB team an exclusive right to a minor leaguer for 7 years. During that time, the player cannot voluntarily leave one team to play for another; even outside MLB or the country. Although players are also eligible for salary arbitration after 3 years of service, it offers little to no help for most minor league players. By the expiration of the contract, much of the value of the minor leaguer as a young prospect has expired. Mandatory in-season workouts, fielding drills, batting practice, travel and games typically occupy about eight or more hours per day, and players commonly work 6 or 7 days per week. The complaint estimates that minor leaguers work about 60-70 hours per week during the season and receive no compensation at all for their required attendance at spring training and post-season mandatory instructional leagues. Salaries during the 6-month regular season range from $1,100 a month for Rookie and Short-Season A, to $2,150 a month for Class-AAA. Minor League salaries are “open to negotiations” after the first season, but players do not have much leverage. The Major League Baseball Players Association (MLBPA) does not currently represent, and has no obligation to the vast number of players performing for their respective organization’s farm systems. Ultimately, the interests of those Minor Leaguers without proper representation at the negotiating table have been disregarded or ignored when collective bargaining agreements are established. Even at the highest level of the Minor League System, ballplayers are making far less than minimum wage. In comparison, Major League players continue to see their salaries rise to historic heights. The Major League mandatory minimum salary is $84,000 a month, rising to $4.6 million a month that Dodgers’ pitcher Zach Greinke will make in 2015. Major League Baseball stars routinely command eight-figure annual salaries; even journeymen with a few years’ major-league experience bring home millions every year. But the majority of professional players don’t get huge signing bonuses and spend most of their careers in the minors. According to a survey by Baseball America, only 17% of players drafted and signed from 1987 through 2008 played at least one game in the major leagues. Baseball has been allowed to pay minor leaguers low wages partly because of its historic exemption from antitrust laws. In perhaps the most mocked opinion in the Supreme Court’s history, Justice Blackmun upheld MLB’s exemption to antitrust scrutiny. The Court reasoned that Congress is in the best position to decide this matter. And instead included a juvenile, rhapsodic ode to the glories of national pastime, with comments about legendary ballplayers and references to the doggerel poem, Casey at the Bat. The complaint goes out of its way to reference MLB as a “cartel”, and to consistently remind the court that drafted players often have little bargaining power. Without this exemption, minor league players could theoretically sue under the Sherman Act, and argue that big league and minor league owners have conspired to unreasonably limit salaries. The player’s new legal argument is novel: Does the language of the Act reach the peculiar job of baseball? The Act requires minimum wage and overtime pay, but it does not specifically address minor leaguers. Section 213(a) of the Act provides an exemption from minimum wage and overtime laws if the employees are seasonal amusement, recreational, or professional employees. MLB has asserted this defense in its response, but the courts are split in regards to whether a ballplayers employment is seasonal. The Sarasota White Sox and Detroit Tigers have both succeeded by using the seasonal exemption. If a judge agrees with this outcome, it could mean that team owners – like owners of a water park in summer – are exempt from the need to pay a federal minimum wage. But, an Ohio court of appeals came to the opposite conclusion on a different case by the maintenance staff of the Cincinnati Reds. This issue is one reason why the defendants are opting to change venue from California to the more employer friendly courts of Florida. Another appealing defense raised is that some of the hours claimed by the plaintiffs are not actual work under federal or state laws. The MLB argues that some of the work, like personal fitness and training, is arguably a mixture of employment and personal advancement. If the MLB wins this argument, ballplayers would be analogous to an intern trying to advance their careers. The result would be that the number of hours worked per week would exclude the training, workouts, batting practice, bullpen sessions, and travel that the plaintiffs have defined as work; instead it would cover only the three hour games. But experts argue that MLB will not win this argument in its entirety because a great deal of the time spent training is supervised and required as a condition of employment. MLB will also argue that the plaintiffs have no basis for a class action claim because “the types of claims alleged by Plaintiffs are inherently individualized.” Under this defense, MLB plans to argue that the hours worked and salaries of players are not uniform and therefore should be considered by the court on an individual bases. Like most lawsuits, this will probably settle out of court. The Fair Labor Standard Act is an intimidating law for employers because violators can be ordered to pay substantial amounts of back pay and other damages. If baseball is found liable, it will have to pay current and former minor leaguers for their claims of uncompensated and under-compensated labor. The amount could be substantial given that virtually every player spends time in the Minor Leagues. Moreover, MLB would love to limit its potential maximum liability and avoid any unfavorable strict legal standards. Regardless of the outcome, the lawsuit puts into writing what anybody who has spent time around the minor leagues already knows: Minor League ballplayers are grossly underpaid for the amount of work they do. This entry was posted in Minor League Baseball and tagged Costanzo, Minor League Baseball, Steven, Steven Costanzo by Steven Costanzo. Bookmark the permalink.